Denomination has created a striking design for True Water, a new range of fresh spring water from Frucor Suntory. 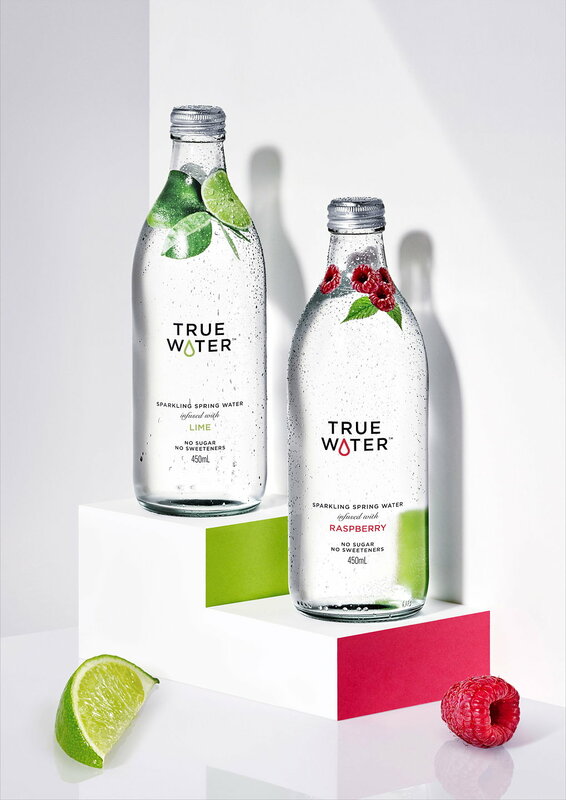 True Water will initially launch with two fruit-infused waters, raspberry and lime. 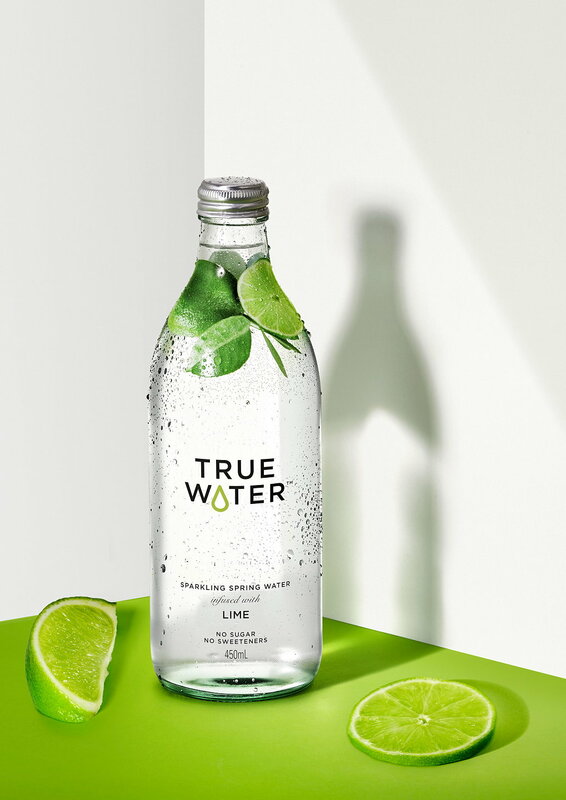 Made using real fruit extracts, True Water contains no artificial sugar or sweeteners and uses pure, locally sourced Australian spring water. Denomination developed a clean and crisp identity to communicate the brands' 'good for you,' healthy image while differentiating it from competitor mainstream water brands. Inspired by the simple and fresh taste, clear glass and a clear shrink sleeve with minimal graphics were chosen to showcase the purity of the water and communicate that the fruit infusions don't add an overtly sweet taste or detract from the health benefits of the water itself. Photographic images of real fruit were applied to the shrink sleeve at the neck of the bottles to give product clarity and look as though the fruit is floating in the water, emphasizing the authentic taste True Water has over other water brands. The True Water logo was crafted to include a drop of water, providing the brand with a distinctive asset as well as subliminally linking the graphic to the name. The water drop design changes colour dependent on which fruit extract is used, helping to distinguish flavours while maintaining simple consistency.